Opening Day is the third Saturday of September each year. Open every day (Monday thru Saturday) until October 30 (Closed on Halloween). 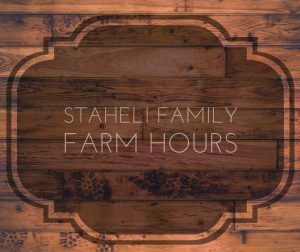 Some Farmland attractions close at 10 PM on weekends. Tokened attractions do not open until 5 pm daily, 1 pm on Saturdays. CLOSES NIGHTLY AT 9 PM. Opens October 7th, CLOSES NIGHTLY AT 9 PM. Monday, Friday, Saturday: DUSK – 9 PM. All times subject to change due to weather and other conditions. 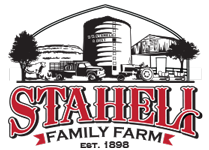 Staheli Family Farm is CLOSED ON SUNDAYS. WE ARE IN THE MOUNTAIN TIME ZONE. IF YOU ARE COMING FROM OUT OF TOWN, PLEASE PLAN ACCORDINGLY. IF BAD WEATHER ARISES, PLEASE CHECK OUR FACEBOOK PAGE FOR UPDATES OR CALL AHEAD. 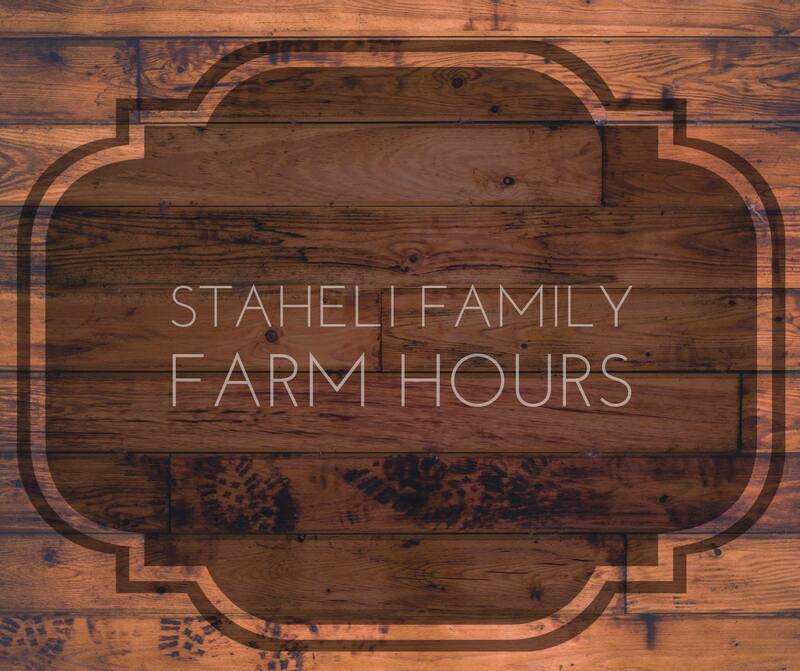 WE RESERVE THE RIGHT TO ADJUST HOURS.